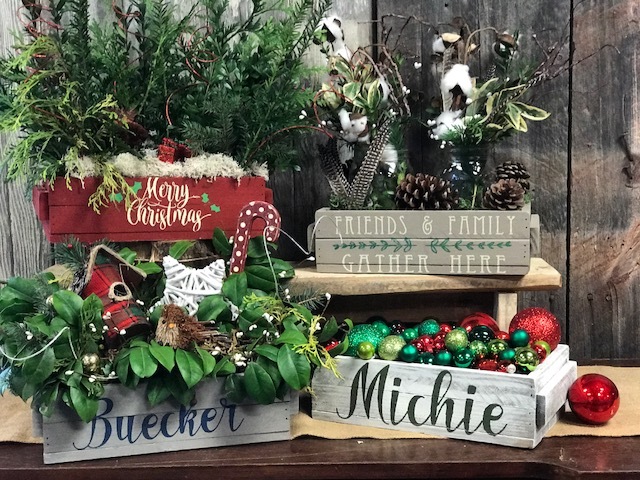 Create Your Decor for the Holidays with us at The Green Door! 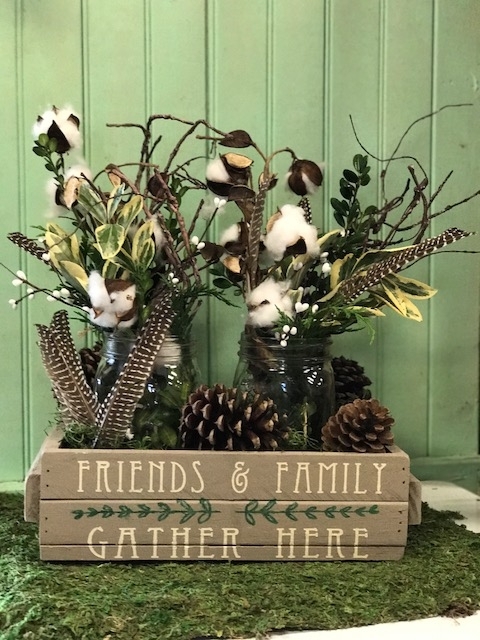 Accessories of all types will be available to purchase during the workshop if you would like to add additional décor. 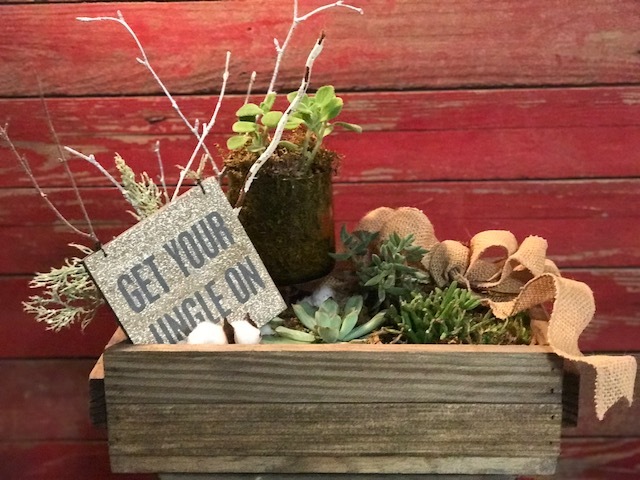 Workshop Cost: $50.00 (one stencil) $55.00 (two stencils- one for each side) • Includes Dark Stained Wood Centerpiece Box, Chalk Paint® by Annie Sloan, a Variety of Live Greens and 1 Custom Stencil. 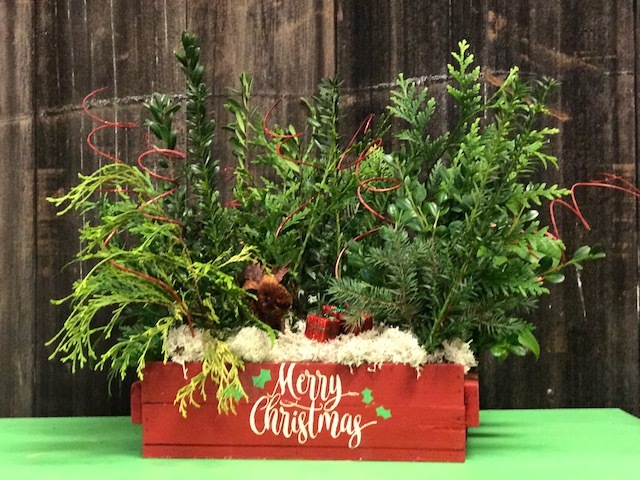 For any attendees using live greens, we will provide a base lining inside the box to keep them fresh and alive during the holidays and beyond! 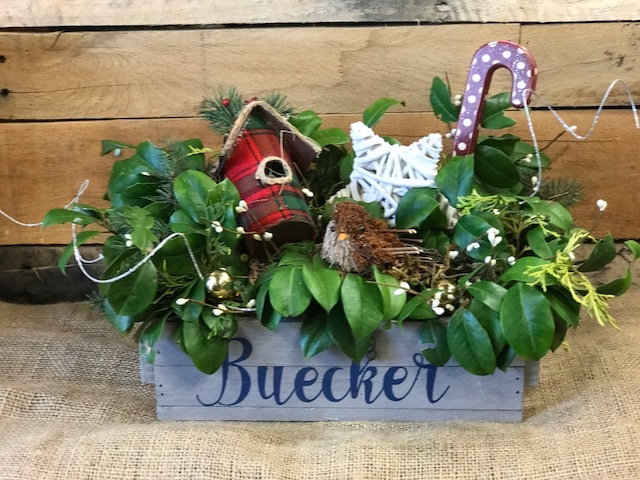 Additional holiday décor and accessories will be available for purchase during the workshop – we will have everything you can think of to make it amazing. We have to prep for this workshop and need all custom information by December 4, 2017 so please email us when you register! Email: info@thegreendoormd.com. If you are registering more than one person for this workshop, please email us the names of all registered attendees along with their custom design choice. All DIY Tickets are final sale. 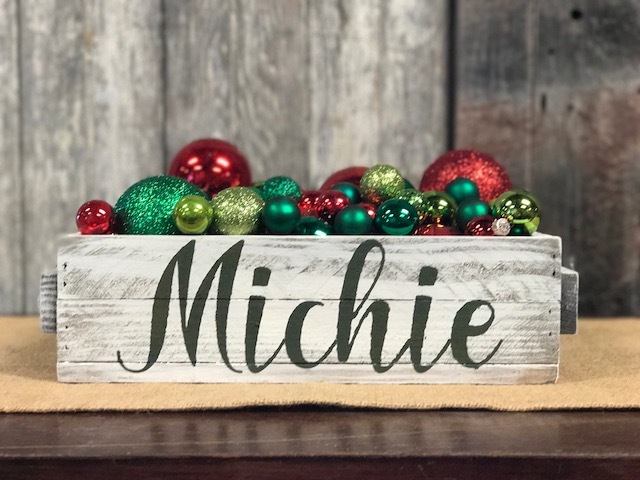 Below are some examples that we made; stop in the shop during business hours to see them in person!